Anyone who has more than just a casual interest in the Borley case will I am sure at one time or another have tried to imagine what it must have been like to walk around the 'most haunted house in England', maybe during the Price tenancy of 1937-38 when the Rectory was in its final stages of life, a huge rambling monstrosity of a house, gloomy and neglected with cold empty rooms and vast untended grounds; or possibly back even further to the hey day of the Bull family with tennis and croquet parties on the lawn and the house alive as the country home of an affluent Victorian family. The fact that nothing now remains of this most famous of haunted houses means that the surviving photographs of the Rectory (many of which are reproduced on this website) are all that remains of the scene of Harry Price's most famous investigation. 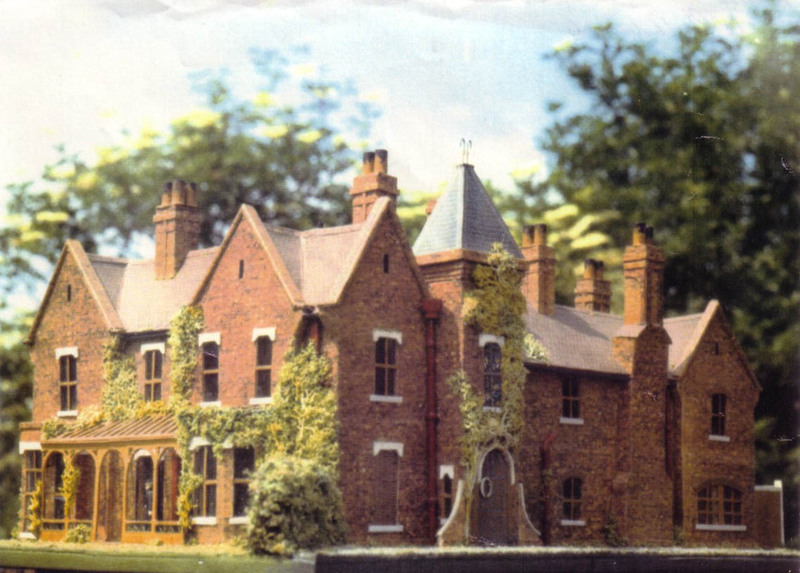 The photographs on this page show various models which have been made of Borley Rectory over the years. They give another dimension to the building by showing it out of the context of the familiar photographs which have been reproduced in dozens of books since Harry Price first published The Most Haunted House in England back in 1940. 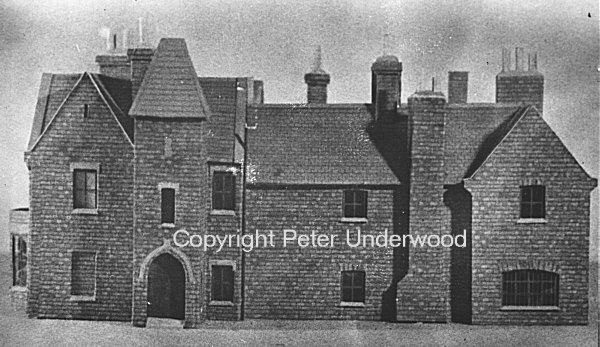 The black & white photograph above is a rather crude effort and lacks a lot of important details but it does give an idea of what the north-west elevation of the Rectory was like, especially the tower over the entrance. This was the actual front of the Rectory and faced the roadway. The dining room window in the bottom left corner is shown blocked as it was in real life, either to stop the famous Nun from peering inside while the Bulls were taking their meals or more mortal passers-by, depending on your viewpoint of the Rectory story. 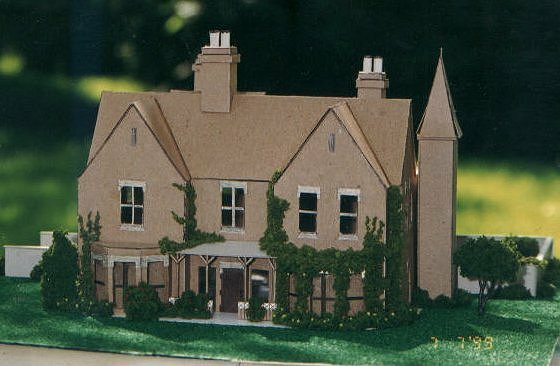 The model on the left was made for Peter Underwood by a professional model maker and is a highly accurate recreation of the Rectory as it would have been during the time that the Bull family lived there from 1863 up until the death of the Rev. Harry Bull in 1927. This could well be a scene as viewed from a vantage point in the Rectory garden around the turn of the century when the Bull sisters had their famous experience of seeing the nun on the lawn on 28th July 1900. The turreted entrance is correctly shown with the prominent wing walls on either side of the front door. Sadly this model now no longer exists. The final model on this page is a modern attempt at recreating Borley Rectory by Texas Borley enthusiast Rudy Ulloa Jr. Rudy has made a good stab at Rectory building and the shot taken from the southern aspect of the Rectory garden certainly gives the atmosphere of how the building would have looked on a late summer afternoon, although there are one or two errors such as an extra gable on the south-west elevation as well as an extraneous dormer window! Whatever the level of detail, the photographs on this page show that the Borley Rectory case has fascinated many people down through the years and no doubt will continue to do so for a long time to come.